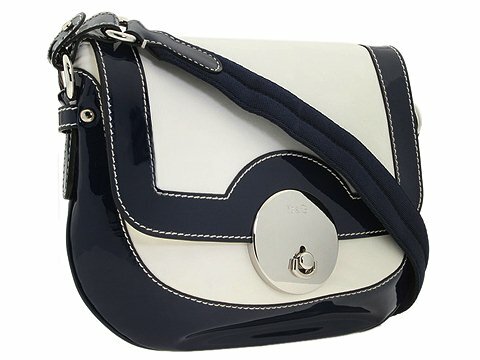 Clean, nautical-inspired styling makes this bag an instant classic that will keep you stylish for years to come. 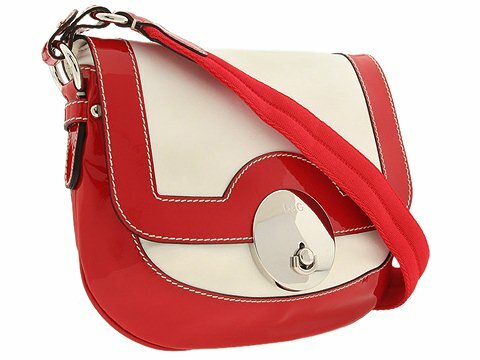 Made of rich leather with contrasting patent trim. Holds your wallet, sunglasses and personal technology. Dimensions: 12 wide across center x 2 deep x 9 high. ; Single shoulder strap. Shoulder drop: 17 length. Signature hardware. Top flap with a twist lock closure. Interior lining with a back wall zip pocket. Made in Italy.